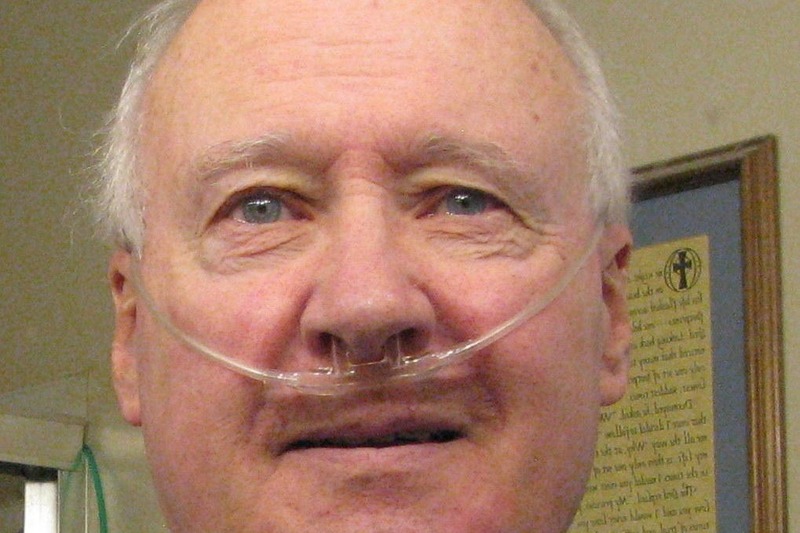 Phil was diagnosed with idiopathic pulmonary fibrosis. Through no fault of his own, his lungs are failing him despite his extremely healthy lifestyle and zest for life. Phil is extremely intelligent, hysterically funny and kind, generous soul. For Phil to continue to "fall through the cracks" simply due to lack of funding, would be a tragedy for all who know him, and for the strangers he helps on a daily basis. Phil has so much life left and so much more to contribute to this world. Now that he is a slave to the tether which supplies him 15 liters of oxygen just to stay alive, Phil spends his time researching and corresponding with patients like himself all over the country. In addition to providing and receiving moral support that keep himself and patients like him from succumbing to the depression and hopelessness that many face. Phil has helped others come to terms with this disease. This includes advocating for better care from their doctors, many of whom are themselves unfamiliar with this rare disease. Helping them explain to family and friends how poorly they feel, since many, Phil included, don't "look" sick; or "look" like they have a fatal disease. He tries to be their cheerleader in dealing with their devastating diagnosis, and the steady debilitation that follows, all the while fighting these issues himself. Phil does have insurance, which would cover the actual transplant, God willing, BUT he doesn't have the funds to even get on the list for the life saving organ he desperately needs. What most don't know, is that before one can be placed on "the list" they must pay out of pocket to get to a hospital that will accept them for testing (approx 4-6 weeks). During this time, Phil will have to pay for lodging, food, transportation, and standard living costs JUST to be considered for the life saving organ(s). Further, he must take an unpaid caregiver and financially support that person. Once he's approved and gets the lung(s) he will need to stay for at minimum 6 months, with the same out of pocket expenses, to make certain he is within a few minutes of the transplant hospital in case of body rejection or any minute infection that could take his life. These fees aren't covered by insurance, and that's while PHIL NEEDS YOU!!! Phil does not have reliable transportation to get himself and his caregiver to a life saving hospital. He also has his best friend, Dutch, a special needs Dutch Shepherd, who will need to be re-homed or cared for during Phil's ordeal. With Dutch being an elder dog, euthanasia is a sad fate he could face. Extra funds raised will help Phil get the life saving treatments he needs without having to give up his best friend, and his protector. If Phil can get the donations he needs to SAVE HIS LIFE, he vows to spend his life and any time left, to pay it forward. His hope is to SAVE HIS own life so that he can make it easier for others in need of life saving organs. His goal would be to start a charity to help both patients and their unpaid caregivers receive low cost or completely sponsored accommodations while going through the grueling process of applying, qualifying and receiving the lifesaving organs they need. Please, even if it's just a few dollars, help me help Phil. This wonderful man has so much left to do in this life! I feel honored to know Phil and pray that his story will touch your heart as much as it has mine. Thank you for taking the time to read a tiny snippet of Phil's story. I wish you all health and blessings this holiday season. With gratitude and hope, thank you. Temporary pause on transplant search. 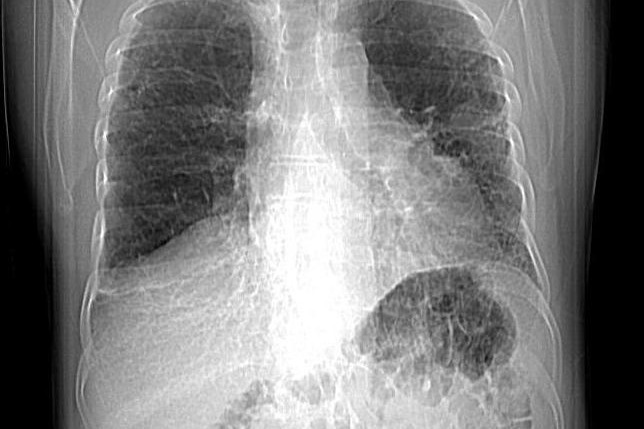 Cat Scan of April 5 showed nodule and mass lesions on upper lobe of left lung. Good news is that they are in the periphery, or outer portion, not deep inside. This will have to be addressed and resolved first. PET scan and needle biopsy being scheduled to rule things in and out. Then the journey continues. 4 transplant centers have asked for, or have received, my records recently, so things are looking good. Will keep you all posted. Thanks for your prayers and positive thoughts. They are greatly appreciated. I owe you all an update, sorry for the delay. Went out of state to a transplant center that was a learning experience, but no transplant. My pulmonologist is now actively assisting in that endeavor. 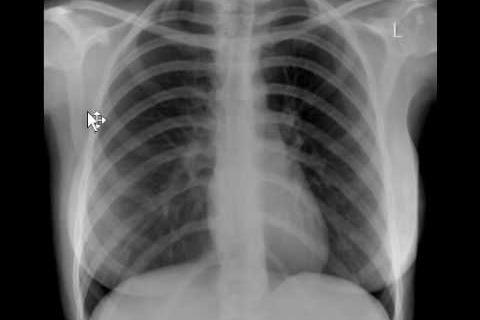 The X-ray on the left off the Internet is of a typically normal lung. The CatScan on the right is from today, for my lungs. I will give more updates in a few days, as to the search for a transplant. I THANK YOU ALL so much for your support and know the money is safe and sound in the bank. The out of state trip cost very little, as the people at the apartment did not charge me for the time there! Paid only for gas, meals out, and some groceries. I see the doctor next week, hopefully with some great transplant news. I will keep you all apprised. Thanks again!! !